The Whitney Studio is located within the larger complex of the New York Studio School of Drawing, Painting and Sculpture on the 2nd floor hayloft level of an original 1877 carriage house behind 8 West 8th Street on MacDougal Alley in the Greenwich Village Historic District. The Studio was part of the original site of the Whitney Museum of American Art. As the art studio and salon of the sculptor and arts patron Gertrude Vanderbilt Whitney (1875–1942), the Whitney Studio was at the center of the development of the early modern art movement in America, borne out of Mrs. Whitney’s tremendous advocacy on behalf of living American artists. 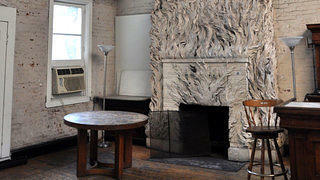 Once a sumptuous interior with a fantastic allegorical bas-relief ceiling and a 20-foot-high plaster and bronze fireplace with sculptural flames, painted in elaborate polychromatic schemes and detailed with corresponding stained glass windows and decorative screens, the Whitney Studio is in urgent need of restoration. 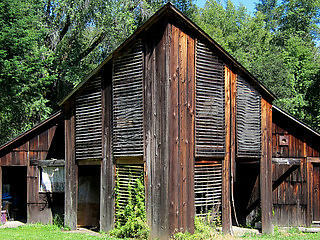 While still maintaining many of its unique details, the Studio has suffered considerable deterioration over the years caused mainly by water infiltration and settlement, and several over-painting campaigns obscure the original polychrome features. Studio fireplace created by Robert Winthrop Chanler, c. 1918. The Whitney Studio is one of the most compelling and significant interior spaces in New York City and a primary feature of the New York Studio School’s designation as a National Historic Landmark in 1992. It is one of the few surviving examples of the work of artist Robert Winthrop Chanler (1872-1930) and a masterpiece of early twentieth-century decorative art. The Chanler bas-relief is a unique sculptural gem, inseparable from the Studio, and one of his few interiors that remain intact and available for the public to see. In addition to her work as an artist, Mrs. Whitney had a keen interest in helping young artists develop their potential. Over the decades, she began purchasing and showing their work, becoming the leading patron of American art from 1907 until her death in 1942. Mrs. Whitney supported many artists who were unknown at the time and are now regarded as masters in their fields, including John Sloan, Edward Hopper, Stuart Davis, and Joseph Stella, to name a few. 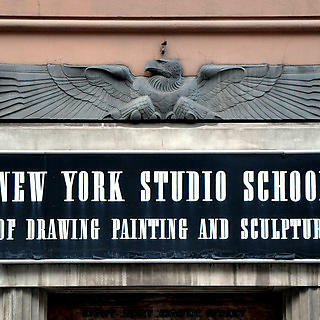 Provide fundraising assistance to the New York Studio School. Develop an interpretation plan for the Studio. 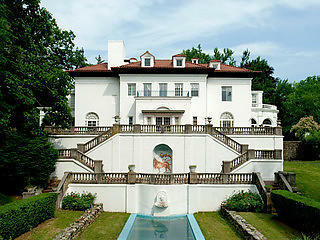 Provide preservation expertise and resources to the restoration work. Restore and interpret the Gertrude Vanderbilt Whitney Studio. Visit the Whitney Studio at the Whitney Museum of American Art.